While the Nintendo Switch continues to be a major success, the real competition between major consoles this generation is between the PlayStation 4 and Xbox One. The PS4 has a bit of an edge in terms of sales, but this best Xbox One games 2018 list shows that the competition has never been tighter. The first entry on the best Xbox One games 2018 list is a relatively recent release that took the world by storm: Far Cry 5. The Far Cry series in general has been a massive success, and Far Cry 5 takes a tried and tested formula and takes it to a whole different level. Following the protagonist as he or she tries to take down an obsessive religious cult, players find themselves exploring a vast and wide-open wilderness with a number of dynamic events that will keep you occupied for hundreds of hours. The main storyline is just a small part of what the game has to offer, and chances are you’ll find something to do when you wander off in pretty much any direction. Although it’s only been out for a few months at this point, it’s more than deserving of a top spot on the best Xbox One games 2018 list. While Far Cry 5 is available on multiple different systems, you’ll have to own an Xbox One to take advantage of the magic that is Forza 7. Forza is one of the top racing games in history, and the modern iterations of the title continue to improve on a formula that has brought entertainment to millions of gamers around the world. The graphics are some of the best we’ve ever seen from a video game, but the engaging racing gameplay is what makes it deserving of a spot on the best Xbox One Games 2018 list. 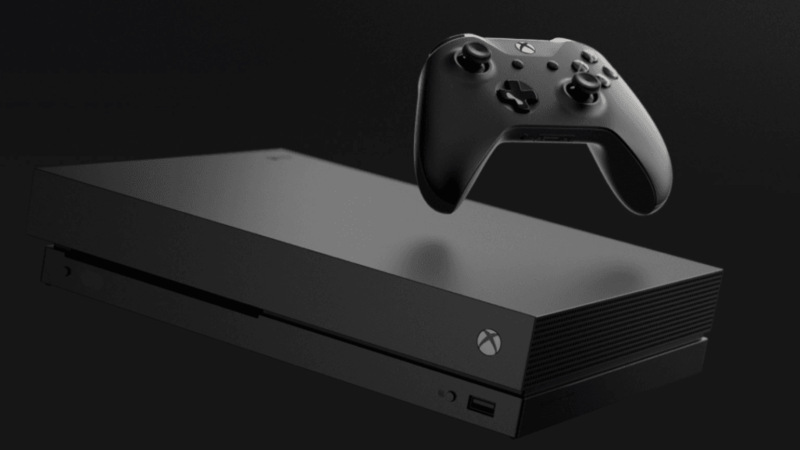 With a fine balance of depth while still remaining easy to pick up, it pushes the system to its limits and truly shows off the capabilities of what Microsoft’s latest console has to offer. Destiny 2 is a bit of a divisive title among gamers, as the company behind the title made some questionable choices in the way that they handle loot distribution. WIth that said, Destiny 2 is one of the best online shooters of this generation and probably our personal favorite out of the best Xbox One games 2018 list. There’s no shortage of things to do in the title, with an engaging single player campaign, addictive multiplayer, and a never-ending gear grind that keeps you coming back for more. It’s not a great title for those who aren’t willing to put some significant time into the title, but for those who are looking for a new gaming fix it’s truly an excellent title. The NBA 2K18 title is the best of the best Xbox One games 2018 list when it comes to sports. If you’re looking to play a good game of basketball, you don’t need to look any further than the myriad of game modes and deep customizable systems that NBA2K18 has to offer. The graphics are amazing and near-photorealistic, and the gameplay is tight and engaging – rewarding skill and strategy as you battle against computers or worthy opponents online. Compared to previous NBA titles, NBA 2K18 is more welcoming to newer players, so if you’re new to basketball games and was thinking of giving it a try it might be a good option to sink your teeth into. Rounding out the best Xbox One games 2018 list is Resident Evil 7. The Resident Evil series is a collection of games that has had a cult following for years, and continues to be one of the premier titles for the action-horror genre. Resident Evil 7 improves upon its predecessors with beautiful graphics that make you feel truly immersed in a creepy world, playing as Ethan as he searches for his partner in rural Louisiana. You’ll make your way through confusing mansions, dirty swamps, and all manner of other locales as you battle against the infected horrors that this series reboot throws at you time and time again. If you’re looking to scare yourself and experience suspense and gripping action, Resident Evil 7 is truly the go-to title on the best Xbox One game 2018 list. These titles just represent a fraction of the excellent titles available on Xbox One, but they do encompass some of the best that the system has to offer. We tried to give you a sense of some of the top picks across multiple genres, but the Xbox One catalog is pretty deep at this point. From Gears of War 4 to Dishonored 2, there are modern titles ready and waiting to show you what the console has to offer.